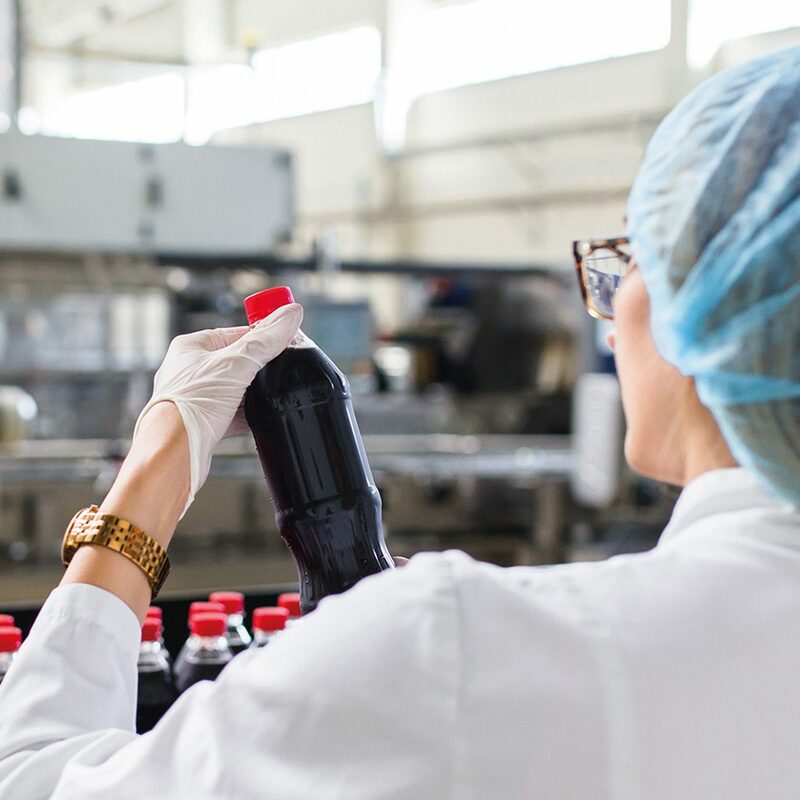 Water treatment and solutions for use in soft drinks applications. A wide range of soft drinks are produced, including flavoured waters, carbonated drinks and natural fruit juices. Filtration is used in the manufacture of these drinks to ensure high product quality in appearance, flavour, customer safety and shelf life. Rough filtration methods are used with natural fruit juices and syrups to remove fibrous organics, sediment or gelatinous particles. This Rough filtration economically protects any ‘Sterile’ filtration stages from premature blocking. Sterile filtration using absolute rated certified cartridge filters make product water and final products free from sediment, parasites, bacteria and improve the appearance. The air in storage tanks and gases such as CO2 used for carbonation, must be free from particles and bacteria also, this requires hydrophobic cartridges that are resistant to sealing from splashes. Solutions to the issues of site protection from parasites, unwanted tastes and effects on active ingredients from chemicals in the water, high particle levels in natural product ingredients, hazing and visual purity of the final product, are all offered with Fileder’s filtration recommendations.